In a queen’s dollhouse, why are tiny toilets so captivating? The blog Gilded Birds interviews prominent people about the beauty of a single object. 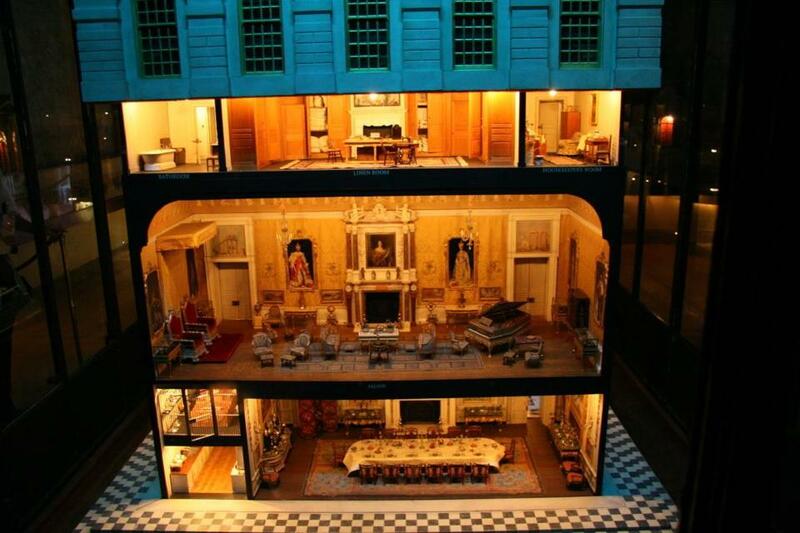 Earlier this month writer and former Economist editor Anthony Gottlieb chose to discuss “Queen Mary’s Dolls’ House,” a marvel of design and engineering completed in 1924 that raises interesting questions about the nature of delight. In the interview, Gottlieb raises an interesting question: Why is it that the everyday objects in the dollhouse—wine glasses, a knife cleaning machine—are at least as captivating as the paintings that hang on the dollhouse walls? At normal scale, we find art much more interesting than kitchen appliances, in part because art gives us a different perspective on standard, appliance-filled reality. Miniaturization has a similar effect: It casts our ho-hum material lives in a precious (maybe even overly precious) light, and details like miniature toilet paper cement the effect.